I have to say, when I first heard the opening track ("Space Mammoth"), I was totally caught in the groove with the mixture of electronic drums and cool real drum rhythms as the vocals were layered on the top. Then a monster sledgehammer riff comes in and takes you away. A masterful song. Great playing, powerful vocals and cool guitar. "Solid Soul" is next and another well crafted song but sort of a letdown after the superb power of "Space Mammoth". Quite a new important classic hard rock four piece band from Sweden. I look forward to hearing more from this exciting band. Great innovative web site as well. 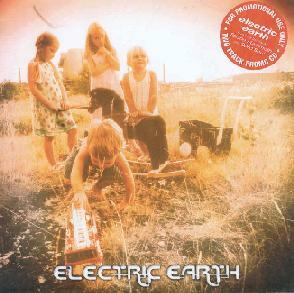 For more information you can visit the Electric Earth web site at: http://www.electricearth.org.